App locker pro is the new Windows phone application of the year 2015 with the help of which you can lock your favorite apps. The only app in the Windows phone store with Pattern app lock. 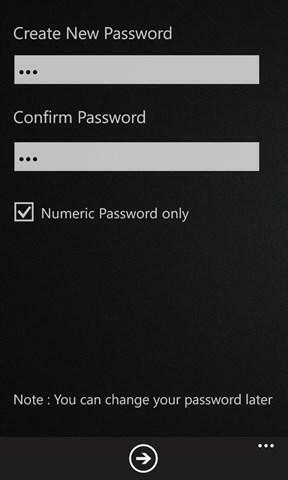 Important note: This application does not provide full lock on apps due to Windows phone system limitation. Applications can be opened easily from side bar menu. ★ Pattern lock and Numeric lock both are supported in this application. ★ It basically adds a Extra layer of Password protection to your application. ★ Supports character as well as numeric password. 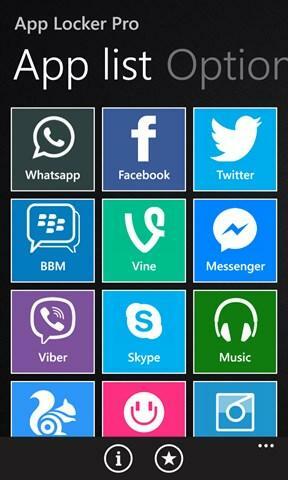 ★ All the different social networking apps are covered under it. ★ It supports alarm feature also. ★ All past entries are stored in the form of history. So that you can check if anyone has tried to open your app without your permission. ★ High security lock methods are used. Note: This application does not share your password with any third party. In Windows phone the system does not allow us to access all your apps so not all the system applications are covered under it. If you have any doubts just checkout the screen shots once. I hope you will like this application. As it is a new app it requires your support. Please review this application to support us.